Every year, millions of serious car accidents occur in the state of Hawai’i. In 2014 alone, there were 109 fatal car accidents in the state, resulting in 113 deaths. Fatal car accidents can happen for a number of reasons, but more than half of serious auto accidents in Hawai’i are caused by speeding, reckless driving, and other forms of irresponsible driving behavior. Usually, the state of Hawai’i does not allow claimants to step outside of the “no-fault” policy, but in the case of a fatal car accident, a claimant may pursue a claim against the defendant and his insurance carrier. If the accident resulted in more than $5,000 in damages, plaintiffs are allowed to seek compensation outside of the no-fault policy. If the plaintiff suffered serious or permanent injuries, such as a loss of limb or body function, permanent disfigurement, or permanent change to emotional and mental state, external awards may also be sought. If the plaintiff meets this criterion, he or she may seek additional damages outside of his or her insurance policy. In a fatal car accident case, the total amount of damages will almost certainly exceed the $5,000 limit and constitute a serious and permanent injury. 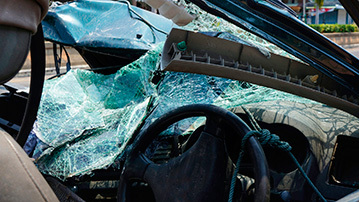 If your loved one was killed in a fatal car accident, seek competent representation. An experienced personal injury attorney will help you get the compensation you need to get your life back on track. Losing a loved one in a car accident is one of the most devastating things that can happen to a person. Many times, this loss can result in severe emotional trauma, loss of work, depression, and many other detrimental effects. Adequate compensation can get you the help you need and make up for lost time, financially. Speak with a fatal car accident attorney as soon as you feel ready to explore your options. Medical expenses incurred as a result of the accident. This can refer to medical treatment your loved one received before he or she died. Lost wages due to the accident. This may be wages you lost as a result of emotional or physical trauma, or future wages your family will no longer receive because of the death of your loved one. Pain and suffering sustained during and after the accident. This includes ongoing mental health treatment. This figure will be calculated based on a “pain multiplier”, and the total amount of economic damages (medical expenses and lost wages). Loss of consortium is claimed by a family member or loved one who lost his or her relationship with the deceased victim. Wrongful death may be filed by a family member who lost a spouse or parental figure because of the accident. Punitive damages are allowed in the state of Hawai’i. These are charged to financially “punish” the defendant in the case of gross negligence. If you have lost a loved one in a fatal car accident, contact Attorney Dennis W. Potts today at (808) 537-4575. He has over 40 years of trial experience in personal injury cases. He will approach your case with compassion and represent you effectively to get you the compensation you deserve.